Bowtie analysis is one of the most thorough aviation risk management tool. 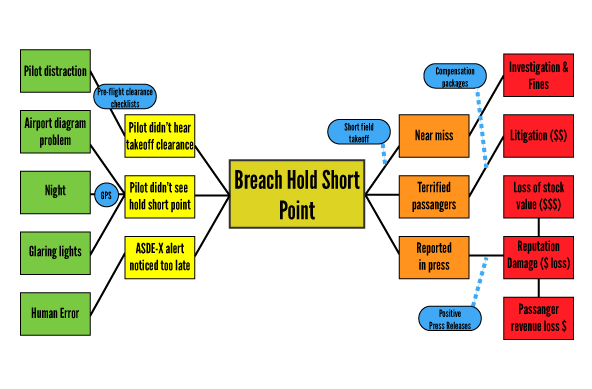 It analyzes safety events from all essential risk management viewpoints, including root causes, hazards, risks, controls, and consequences. Creating quality bowties takes practice. 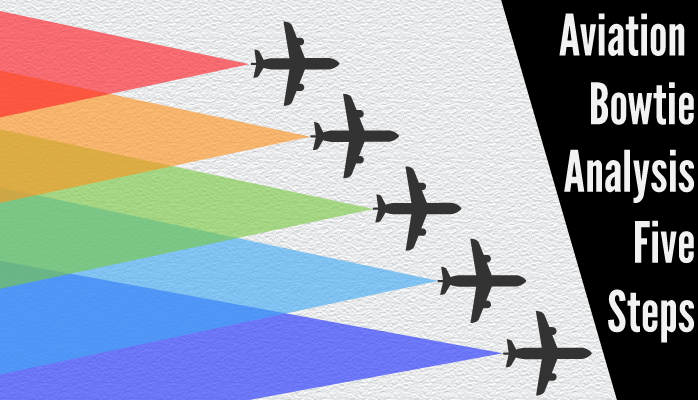 Here are the 6 steps to perform bowtie analysis in aviation SMS. The point that root causes lead to, and that eventually results in damages. It's extremely important to find a good point at which safety control is lost, as the rest of the bowtie will depend on it. Notice that distraction and Human Error are perfectly valid root causes, as sometimes we simply are distracted or make mistakes for no “good reason.” For some reason, some organizations seem to feel that Human Error is not a valid root cause. This is an erroneous belief and will hinder root cause analysis. It’s important to distinguish between consequences and Impacts. Consequences do not cause Impact damages themselves, but lead directly to damages. Impacts, also called "risks" and "consequences", are always characterized by damages. Damages could be to persons, equipment, reputation, money, etc. – anything that hurts your organization. Picking out damages is usually pretty easy. Each item in red causes an element of damage to the company. 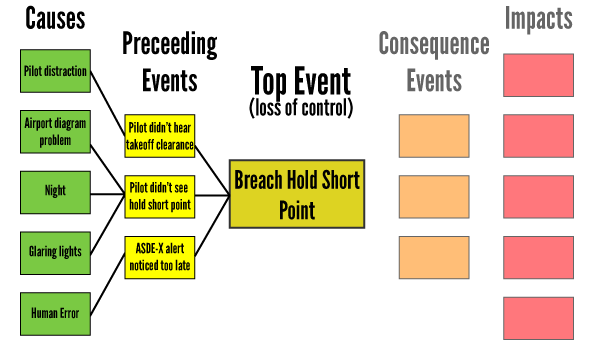 The last step that is critical to bowtie analysis is to list your risk controls directly after each item to see how your risk controls failed. If you are unable to list a risk control, it’s a good indication that you need to implement one. This example is a bit limited by space, but in actual practice you will have more space to fit in your risk controls nicely. Moreover, your bowtie analysis will feature as many risk controls as possible, perhaps even several risk controls per item.